DIDWW is a company that opened for business in 2004. Their phone numbers operate through both private and public VoIP networks, providing services in 76 countries. With 3,084 area codes available, the company aims to use their services to help entrepreneurs reach customers on a global scale. Virtual phone numbers for local calls and international calls are provided by DIDWW. Toll free numbers are also available. These options make it easy for customers to connect with businesses without additional fees. Solopreneurs and large businesses further benefit from these options because it allows companies to maintain a professional image regardless of the size or location of their business. With DIDWW, new customers don’t have to call the company and hold on the line for customer service professionals to activate the service. Instead, new customers can start their service online. Existing customers can also use their website to view their account info and make changes to existing services. DIDWW takes advantage of the benefits provided by cloud technology and pairs cloud capabilities with the traditional telephone infrastructure. This allows business owners to make basic phone calls and have calls forwarded to the number of their choice, which includes landlines and cell phones. Furthermore, DIDWW customers can use an online dashboard to review account details at any time. Depending on the products that customers order, more comprehensive details may be available. Additional information may include site metrics and call volumes. Measuring these metrics allows businesses to monitor their progress and customize their marketing campaigns. Different channels can also be created with DIDWW’s communication systems to support a set volume of incoming callers. Directing callers to assigned channels works as an organizational strategy to keep business owners prepared as they accept calls and delegate tasks to team members. Depending on the type of business you have, you may need remote workers to assist with callers if there is a high call volume or your virtual phone number is being used to connect with consumers in another country where the differing time zones can create conflicts in scheduling. Approaching these setbacks is much easier with flexible phone systems. Instead of setting business hours for a limited time, have team members scheduled who live in different time zones. This method can allow businesses to establish a 24-hour customer service line. To further streamline a system for satisfactory customer care, you can assign single workers to channels with lower call volumes and have multiple workers sharing the responsibilities of assisting callers on busy lines. Using this method helps everyone contribute their skills in a virtual working environment, which can be less stressful because it prevents staff members from getting overwhelmed due to dealing with too many callers. Call forwarding is a necessity for a variety of reasons. Forwarding allows business owners to accept calls on their mobile devices or have the calls forwarded to a preferred landline. The ability to forward calls to a landline is especially helpful for business owners who want to work from a traditional space or a home office. Because DIDWW has call forwarding, entrepreneurs have more freedom to work on the go, which allows them to multitask and handle important errands without missing important calls from customers and business partners. Startup businesses and entrepreneurs need an affordable system that will keep them connected with customers and business associates. 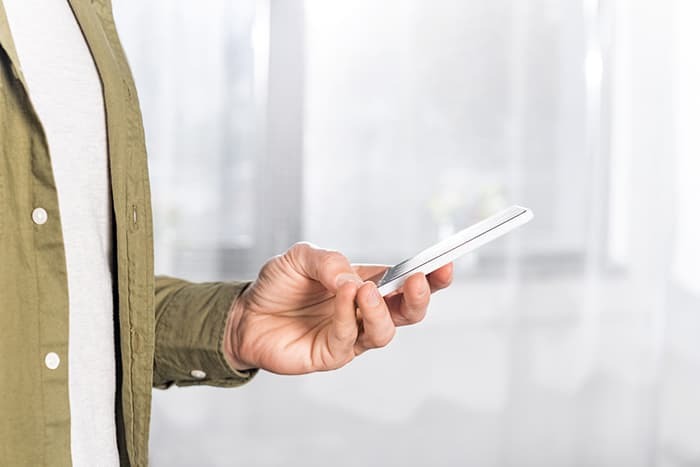 Virtual phone numbers are an inexpensive option that can save money for businesses because expensive equipment and connection costs aren’t part of the plan. Customers also benefit because there are no additional calling fees. Because these systems are reliable with diverse features, virtual phone numbers help companies stand apart from their competition. Virtual phone numbers are powered by customization, which gives companies no shortage of options as they work to drive sales and improve customer service without the confines of a set location. Cloud technology has added a new level of flexibility and it increases productivity for working professionals by instantly storing important information in an online database that can be accessed from any location on various devices, including personal computers, tablets, and cell phones. Virtual phone numbers have upgraded the traditional telephone infrastructure with features such as voice menus and fax to email. Along with creating an easier system for making and receiving phone calls without geographical limitations, understanding the benefits of virtual phone numbers will allow customers and business owners to save time and money as they grow their businesses by entering worldwide markets without the costs associated with relocating. At Global Call Forwarding, we provide similar options in comparison to DIDWW to help entrepreneurs grow their businesses, and these services are important for a variety of reasons. Small business owners want a system they can rely on as they build relationships with customers and other business professionals, and virtual phone numbers are one of the most convenient and affordable solutions for entrepreneurs.